NEW! 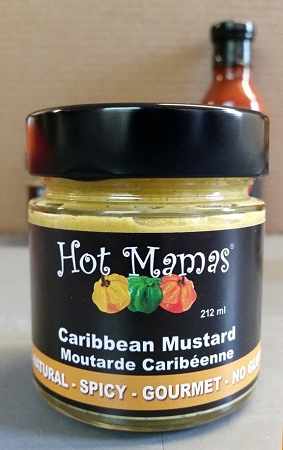 Now Available in 212ml Jar!If you want that extra kick on your hot dogs, hamburgers,salmon, sandwiches and more....try this new Caribbean Mustard! The savoury and spicy scotch bonnet peppers add a unique dimension and heat!